Violations of human rights by the US are undermining international law and eroding its role on the world stage, a leading campaign group says. Human Rights Watch says the US can no longer claim to defend human rights abroad if it practises abuses itself. 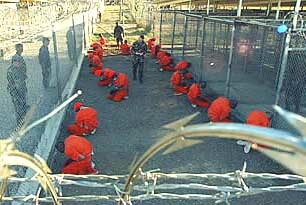 The group, the largest US-based rights organisation, says the actions of the US in such detention centres have undermined Washington’s credibility as a proponent of human rights and a leader of the war against terror. “Its embrace of coercive interrogation [is] part of a broader betrayal of human rights principles in the name of combating terrorism,” HRW says. A simple point, well made.